Today, an Indian made history. He gave our country and its residents the proud feeling that was searched by many in the recent Rio Olympics 2016. 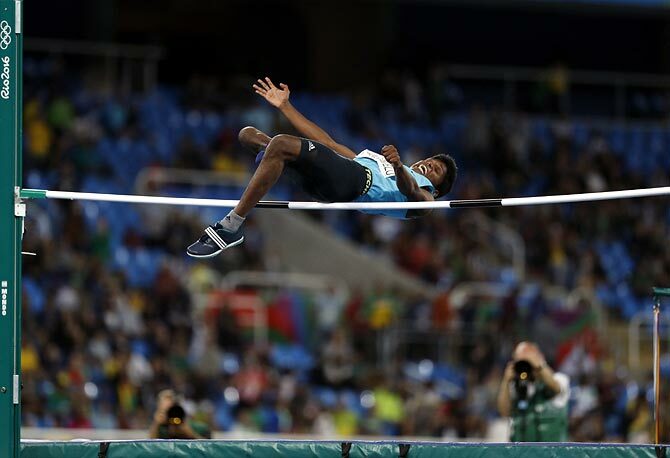 On Saturday, Mariyappan Thangavelu leapt towards the gold medal in T42 high jump finals in Rio De Janeiro. Born in Periavadamgatti village, 50 km away from Salem, Mariyappan’s mother used to sell vegetable for a living and earn Rs.100 per day quite a few years ago. At the age of five, he was hit by a bus owned by state crushed his right knee, leaving him with lifelong disability. The accident didn’t made him weak, in spite gave him an all new motive. Mariyappan’s father left the family when he was young. In his condition he has outdone a physically fit person, he showed promise in Volleyball and played in school. He took part in his first competitive event at the age of 14 against able athletes. He came second in the event to everyone’s surprise. Unlike others who hate their disability, he calls his deformity his God; he has a deformed large right toe that gives him the needed leverage for the jump. With his rigorous training to reach his dream, which he went in Bangalore, he performed for several events that helped him to become the World Number 1 in 2015 even being in the first year of senior level competition. At the Rio Paralympics Games 2016, he cleared a notable height of 1.89 m to grab the medal. 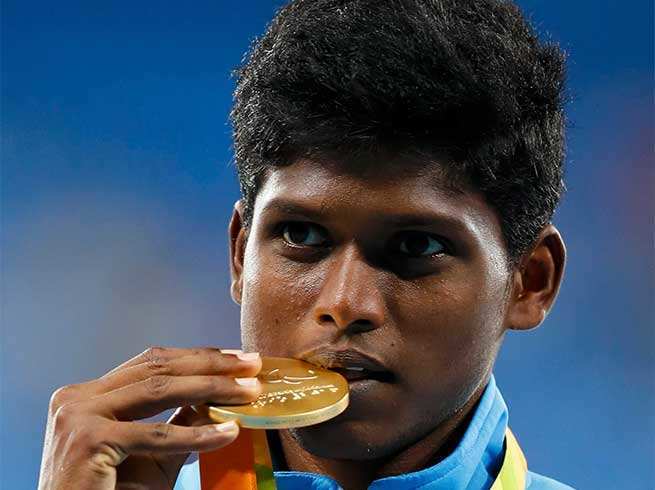 Despite being at this height of the game, Thangavelu wants to find a good job. He also wants to take care of his mother. He wishes to repay the amount of 3 lakhs that was taken by her mother to pay the expenses of his medical treatment. 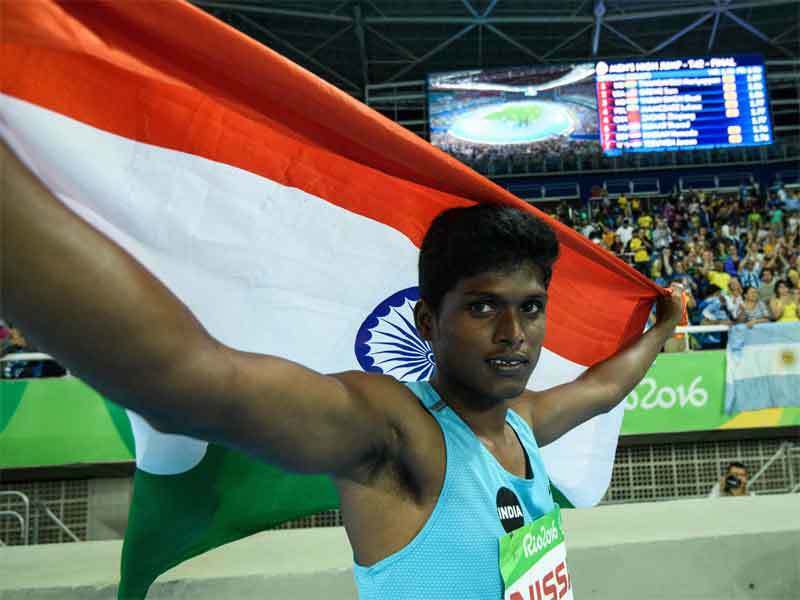 The results of his hard work and commitment are now in front of everyone, he now the third Indian to grab gold in Paralympic games after swimmer Murlikant Petkar and javelin thrower Devendra Jhajharia.